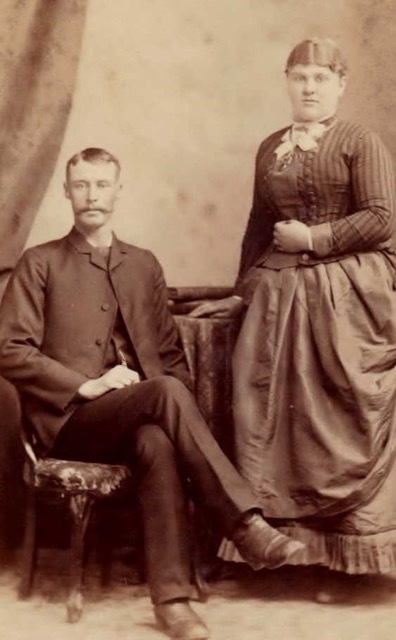 Above, Edward Eugene Harris and Margaret Ann (Acker) Harris. 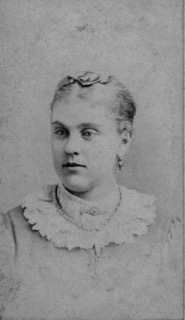 Edward and Maggie were married Jan. 4, 1883 at the home of the bride's parents in Pymosa township. The photo above may have been a wedding photo. 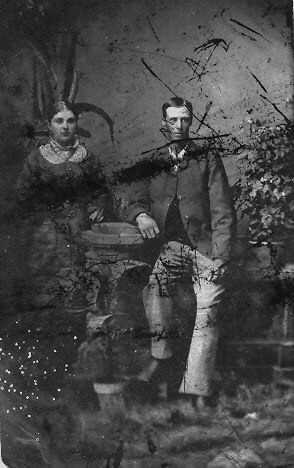 Below, a tin-type photo of Edward and Margaret, date unknown. 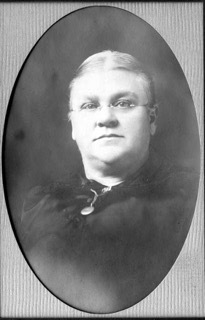 Below, two additional photos of Margaret "Maggie" Ann (Acker) Harris. Photos contributed by Carl Malone, September, 2016.